Ready to advance your online learning skills? 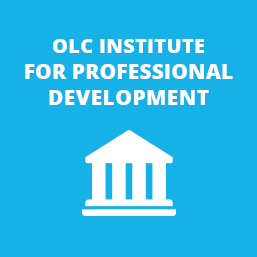 Here is a comprehensive list of everything the OLC Institute for Professional Development has to offer. Choose from hundreds of workshops as well as Mastery Series and Certificate programs. Discover hundreds of workshops and advanced programs including our Mastery Series and Certificate programs. Take a look at our schedule below to create the optimal online learning program that best meets your professional objectives. We offer many of the Institute offerings multiple times throughout the year to provide the flexibility you need to build the right program for you. We look forward to helping you with your continued professional development.